Just downriver from Machu Picchu at this time of the year there used to be a slave market where Jesuits, Franciscans and Dominican priests from Cuzco would buy Indian women and children in exchange for machetes and other trade goods. It was known as the Feria de Santa Rosa. Earlier it had been known too as the Feria del Carmen because it took place in July as well. The women and children were Machiguengas who had been pirated from their homes deep in the jungle by tough Piro Indians from the lower Rio Urubamba. The Piros, great traders and travellers all over the western Amazon, would paddle up the Urubamba, past what is today the Camisea gas fields, a multi-billion-dollar industrial complex, in raiding-trading parties of dozens of war canoes, through the still-ferocious rapids of the Pongo de Mainique. They would come to a site called Cocabambilla near the present-day towns of Quillabamba and Echarate where the railway line would later end; this was wiped out by a huge avalanche in 1998. The women and children, acquired from Machiguenga curacas or simply snatched from their homes, would be exchanged, along with salted fish and other deep-jungle goods, for Cuzco mountain produce as well as knives and, later, guns provided by the rubber barons. The Incas would have been impressed to see how their descendents, today’s comuneros from the highlands of Cusco and Puno, have taken over the eastern jungles. In the old days, 600 years ago, the Chunchos, or Antis (Antisuyos) were much feared by the rulers of the greatest empire of the 15th century. No longer. Today’s jungle Indians are all but exterminated. They stood up to the Incas and then the Spaniards though by the early 20th century they had been badly hit by the rubber barons. But the invasion by sierra campesinos in the past few decades, plus lumbermen and oil and gas men from Texas, have just about done for them. The Incas conquered the mountains with a wonderful system of tens of thousands of miles of roads. The Amazon was dominated by the canoe on the world’s greatest network of rivers. It may be that a couple of thousand years ago, say, there were great cultures in the Amazon as there were along the pre-Conquest Mississippi. Some scholars, including my old chum Gene Savoy, the great Andean explorer, maintain that the Amazon is the original source of all the Andean cultures. 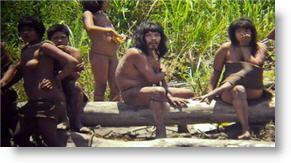 Until a hundred years ago the jungle indians, like the Piros and Campas, were the aggressive ones. The chroniclers record forays by the Chunchos into the Cuzco region, including one where a jungle princess went off with Inca Prince Copacabana and “large quantities” of women and children. The Jesuits, Franciscans and Dominicans wanted the women and children, we should assume, to convert them to Christianity. Whatever, there were occasional more refreshing side-effects. One of the Machiguenga boys, Martin Mentiani, arrived in Lima during the guano boom in the service of the gay Dominican provost of the Santa Rosa Convent. Martin escaped and hid out on a French merchant ship during the Chilean occupation, turned up in Antwerp and became butler to Paul Gauguin’s art dealer. 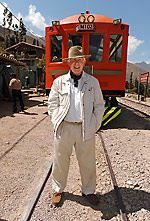 He returned to Lima during the 1900 centenary celebrations, and returned to Cusco and the jungles of the Alto Urubamba. 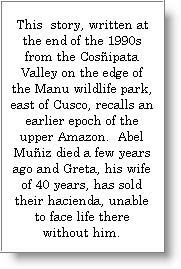 This and other tall jungle stories were told to me this week by Alejandro Camino, Peru’s distinguished and much-travelled anthropologist. He has just returned from Madagascar and has spent years in places like Nepal. He and Mrs. Camino serve the best Hindu food this side of Darjeeling at their home in Miraflores. The Santa Rosa/Carmen slave market came to an end only three or four generations ago, in the early years of the last century. I was reminded of it by a visit, also this past week, to the annual barter market at Tiobamba, Maras, just above Urubamba, where truckloads of people arrive from Pucara and other parts of the Puno altiplano with thousands of clay chombas which they exchange for maize from the Urubamba Valley. Most of the deals are still straight barter and all the chatter is in Quechua. The metre-high ones for making chicha make fine pots for plants, though I admit that I paid coin of the realm, not maize, for the chombas –S/25-30 for big ones, the same as the cost of a machete.